Is it just me, or did January seem like it never even happened? Because that’s exactly how it felt to me. I made it through midterms and crazy school stuff, and now I’m making my game-plan for February. It’s pretty much one goal: stop being so stressed. Stress is my downfall; we don’t mix well. How To Get Away With Murder, my current TV obsession, just came back on after a two-month hiatus and OH MY GOSH. It just keeps getting better! If I’m not reading as much in the coming weeks, this show will be why. Today is Superbowl Sunday, which means that while the game is on I’ll most likely be sitting in my room reading because I am NOT a football fan. I don’t see the point of it to be honest. If someone does, “enlighten me then.” <– Bad Fifty Shades of Grey movie trailer reference — sorry. I squealed so hard when I saw that I was approved for this one! I’m really excited about this one and even though I requested it on NetGalley I never actually thought I would be approved so AH YAY!! It looks really unique and unlike anything I’ve ever read before so as I’ve said before — I can’t wait! RECENT: Diamonds in the Rough by Michelle Madow | I thought this was a really great sequel to the first book, The Secret Diamond Sisters. My review will be posted tomorrow! UPCOMING: Throne of Glass by Sarah J. Maas | I’M FINALLY DOING IT GUYS. I’M FINALLY READING IT. I normally don’t talk book news but there are some things that I wanted to mention this week, hence this section of the post. I JUST FOUND OUT THAT JENNIFER E. SMITH IS RELEASING A NEW BOOK THIS COMING SEPTEMBER. UM, WHY DID NO ONE TELL ME THIS WAS HAPPENING? (As you can tell I LOVE Jennifer E. Smith’s books.) 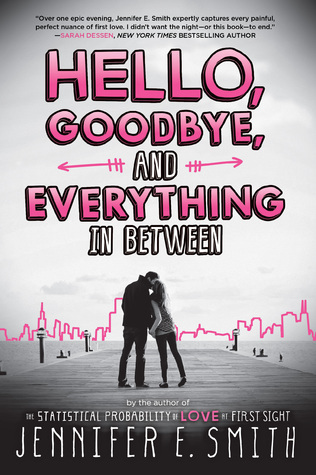 To top off the excitement of me finding out about Hello, Goodbye, and Everything in Between, it’s cover was recently released. PS: There is also news that Hailee Steinfeld has been cast as Hadley in The Statistical Probability of Love at First Sight movie!!! Warning: there are quite a lot. My fellow bloggers wrote so many amazing posts this week! Jess @ My Reading Dress asks is purchase links in reviews are really used. Jessica @ Strung Out On Books discussing buying the finished copy of a book if you received an ARC. Kayla @ The Thousand Lives debuts her new feature, It’s All in the Details with a look at A Court of Thorns and Roses. Cait @ Paper Fury wonders about the point of negative reviews. Lina @ Every Book A World undresses some books. P.E. & Mari @ The Sirenic Codex discuss their philosophy legitimacy and objectivity of reviewers. Ashley @ For the Love of the Page talks about how her reading style has changed over time. Sydney @ Utterly Bookish shares her confessions of being a mood reader. I hope you all had a wonderful week! 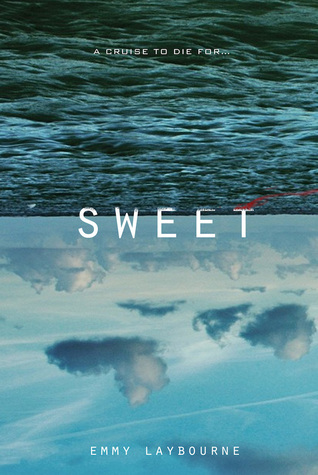 When I first heard about Sweet I wasn’t really sure if it would be my kind of book, but the more I heard about it the more it sounded awesome! I’m really interested in getting to read Sweet. Hope that happens soon! I actually haven’t seen How to Get Away With Murder but a LOT of people talk about it. I want to jump on the bandwagon sometime too!